If you are curious about the unknown terrains of the Red Planet, here is your chance to take a walk on Mars for free all the while staying in your living room, thanks to Google's immersive experience initiative Access Mars. Google collaborated with NASA to produce Access Mars that lets users wander the actual dunes and valleys explored by NASA's Curiosity rover. "The experience is built using WebVR, a technology that lets you see virtual reality right in your browser, without installing any apps. You can try it on a virtual reality headset, phone, or laptop," Ryan Burke, Interactive Producer at Google's Creative Lab wrote in a blog post late on Thursday. The experience was adapted from NASA Jet Propulsion Laboratory's OnSight software, which assists scientists in planning rover drives and even holding meetings on Mars. Imagery from NASA's Curiosity rover provided the terrain. "We've been able to leverage VR and AR technologies to take our scientists to Mars every single day," said Victor Luo, lead project manager at JPL's Ops Lab, which led the collaboration. "With Access Mars, everyone in the world can ride along," Luo said. Since being rolled out to JPL's scientists in 2015, OnSight has made studying Martian geology as intuitive as turning your head and walking around. 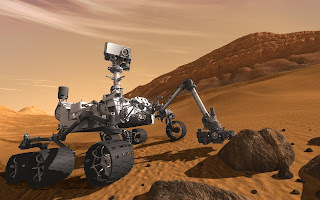 "All along the way, JPL scientist Katie Stack Morgan will be your guide, explaining key points about the rover, the mission, and some of the early findings," Burke added.